I don’t think it will come as much as a surprise to any Rotherham fan that Vital Rotherham’s Man of the Month for September is Semi Ajayi. 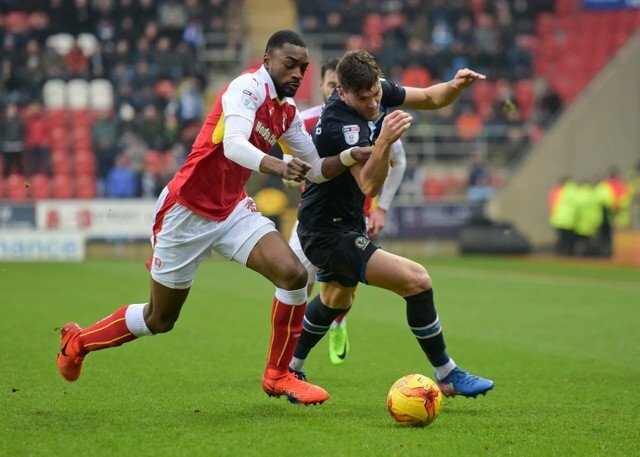 Semi, who is joining up with his Nigerian team mates this week and hoping to get his second full international cap, has probably been the one constant in the Millers team throughout the month where he was always solid, always there. Semi, whose full name is Oluwasemilogo Adesewo Ibidapo Ajayi (thank goodness we call him Semi! ), impressed for the Millers when on loan from Cardiff enough to sign a permanent deal in the summer of 2017. During September the tall defender was voted Man of the Match in our home win over Derby County, our away game at Villa Park and the last game of the month against Stoke City at the New York Stadium. He was also voted Man of the Month in our August polls. Goalkeeper Marek Rodak, now on international duty with Slovakia, got the vote away at Wigan with the accolade going to Will Vaulks in our visit to Nottingham Forest.